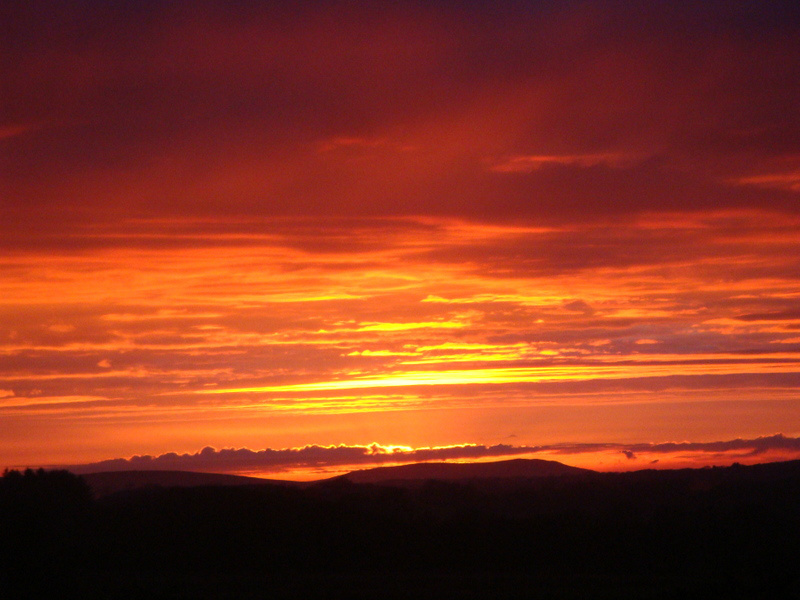 Engrossed in my writing, at our home for waifs and strays, I didn’t see the sky on fire until it was ablaze. For a moment I was mesmerised by the sheer beauty of something so natural. I wondered if I could capture it on canvas, seeing as reds are my favourite colours....but I am no match for the real thing, so I watched until the fire burnt out. Thankfully, I had time to take a photo to share with my readers. "Like a red morn, that ever yet betoken'd wreck to the seaman - sorrow to shepherds." 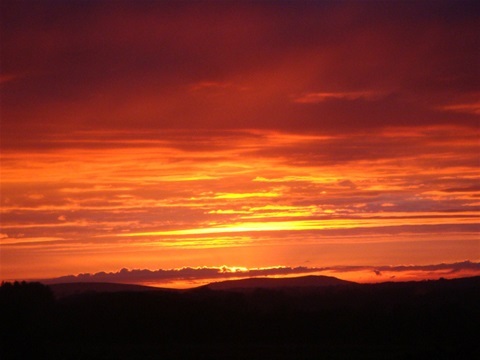 But as for the red sky at night, there will be a good chance of fine weather as the clouds are in the east and would already have passed us by. It’s dark again and behind me a different fire burns and the smell of logs fill the cosy room. I notice a silence...not eerie, not lonely, just a silence that lingers around the house. Hurry up morning so I can hear the birds and see out of my window again!